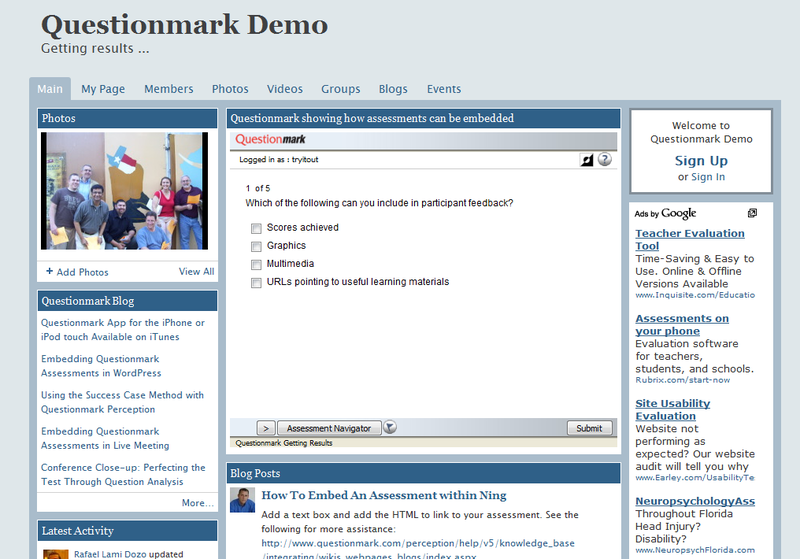 Embed a Questionmark Perception assessment, survey or quiz inside your Ning network Web site. To see how this would look, see the Questionmark Demo network page on Ning. Ning is an online platform for people to create their own social networks. A low-stakes quiz or survey within Ning is a great way to interact with your network and collect information from your readers.